If you are having problems reading this, visit the online version here. 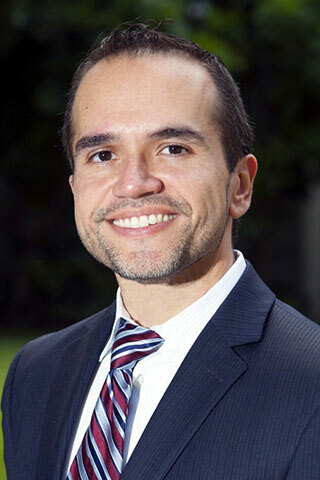 The University of Miami has appointed UM alumnus Guillermo “Willy” Prado, now the Leonard M. Miller Professor of Public Health Sciences and the director of the Division of Prevention Science and Community Health at the Miller School of Medicine, as the new dean of the Graduate School, effective February 1. “Dr. Prado is well positioned to raise the Graduate School at UM to a new level of excellence, thanks to his passion as a researcher and educator,” said Executive Vice President and Provost Thomas J. LeBlanc. As dean of the Graduate School, Prado will work in partnership with the deans of the schools and colleges to support and develop strategies for attracting the next generation of scientists and researchers to graduate education at the University of Miami. He will specifically manage the process of external program reviews and new program proposals, oversee the selection process for University of Miami graduate fellowships, chair the Graduate Council meetings, and meet regularly with graduate program directors, among other duties. Prado joined the UM faculty in 2007. In the areas of research, he has served as principal investigator of approximately $10 million of National Institutes of Health (NIH) funding. He also has served in the roles of mentor and co-investigator of approximately $60 million of NIH and Centers for Disease Control and Prevention (CDC) funding, including a leadership role on two NIH-funded center grants. His research has appeared in more than 100 peer-reviewed publications, including The Journal of the American Medical Association, Pediatrics, American Journal of Public Health, and American Journal of Preventive Medicine. During his tenure, Prado has led the development of the Ph.D. program in Prevention Science and Community Health, as well as redesigned the epidemiology doctoral program. Having taught more than 10 graduate courses in prevention science, epidemiology, and biostatistics at UM, Prado has mentored many junior faculty, post-doctoral students, and graduate students. As chief of the Division of Prevention Science and Community Health since 2013, Prado has overseen a research program endowment of $375,000. Before that, he led the Ph.D. in Epidemiology Doctoral Program and served as acting chief of the Division of Epidemiology. Prado replaces M. Brian Blake, who was named provost and executive vice president for Academic Affairs at Drexel University last spring. In the interim, Angel Kaifer, professor of chemistry and senior associate dean for research and graduate education in the UM College of Arts and Sciences, served as dean.